It has been about two months since my last archaeology journal publishing post, apologies. 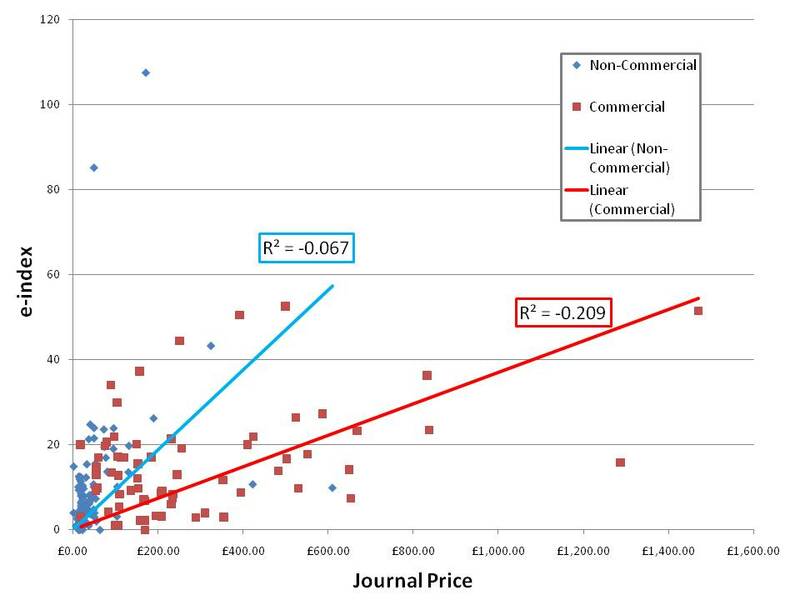 Quick recap of Arch Journal Publishing I-XI: I looked at varies metrics of “supposed” journal quality vs. price per journal and/or price per page and found pretty much no correlation between these metrics and prices. To continue with this line of research I looked at the e-index provided by the Publish or Perish FREE software which covered almost all of the journals on my list of archaeology journals. 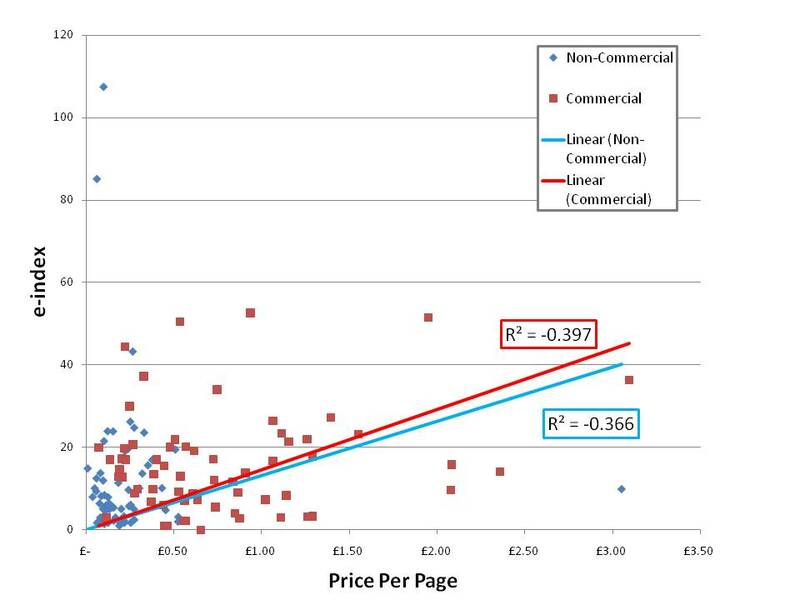 Surprise, surprise the results (see images below) show that there is no correlation between price and the e-index of archaeology journals. Hhhhhmmmm 11 for 11 and no correlation that might be a trend.